What Is an E-Ticket Ride at Disney Theme Parks? What Is an E-Ticket Ride? In the early days of Disneyland and Disney World, guests paid a nominal fee to enter the parks and then purchased individual tickets for the rides and attractions. The parks also offered books of tickets which bundled them together at a discount price. Disney graded its rides from “A” through “E” and offered corresponding tickets. Those labeled “A” rides, such as the Fire Engine that traveled up and down Main Street U.S.A., were the lowest-tier and least expensive attractions. Moving up the alphabet, the attractions were increasingly popular, sophisticated, and cost more to ride. An “E” ticket, which allowed admission to rides such as the Matterhorn Bobsleds and Pirates of the Caribbean, were the most coveted. When visitors used their ticket books, they would ration the “E” tickets carefully. By the early 1980s, Disney phased out the use of individual tickets and instituted a pay-one-price, unlimited-ride policy. Even though the tickets themselves are long gone, the term, “E-Ticket” endures. In addition to referring to the creme-de-la-creme of Disney attractions and park rides in general, an E-Ticket is also used to describe anything that is considered to be among the best (or biggest, most exciting, etc.) of its kind. Similar phrases or words include Sunday best, elite, prime, superlative, first-rate, and awesome. By the way, nearly all amusement parks and theme parks used tickets up until the 1980s. Some would offer a pay-one-price option, but a pay-per-ride ticket system was the predominant business model. Unlike Disneyland and Disney World, many parks offered free admission and had an open-gate policy. Instead of using alphabet-coded tickets, most parks would vary the number of tickets it required to board its rides. Patrons might have to fork over one ticket for a low-profile kiddie ride, for example. It might take three tickets for a more thrilling flat ride, however, and five tickets to score a seat on a park’s signature roller coaster (its version of an E-Ticket ride). There are still a handful of parks that use a pay-per-ride ticket system. They are mostly traditional amusement parks such as Knoebels in Pennsylvania and the seaside park, Family Kingdom in Myrtle Beach, South Carolina. Those and other pay-per-ride parks do not charge admission to enter. You can read more about them in our article, ”Free Theme Parks.” Carnivals and fairs typically still use a pay-per-ride system. In some ways, the ticket system could be considered more equitable for visitors who only want to get on a few rides. Parents or grandparents, for example, may want to take their children or grandchildren to enjoy a park’s rides, but have no intention of boarding any themselves. 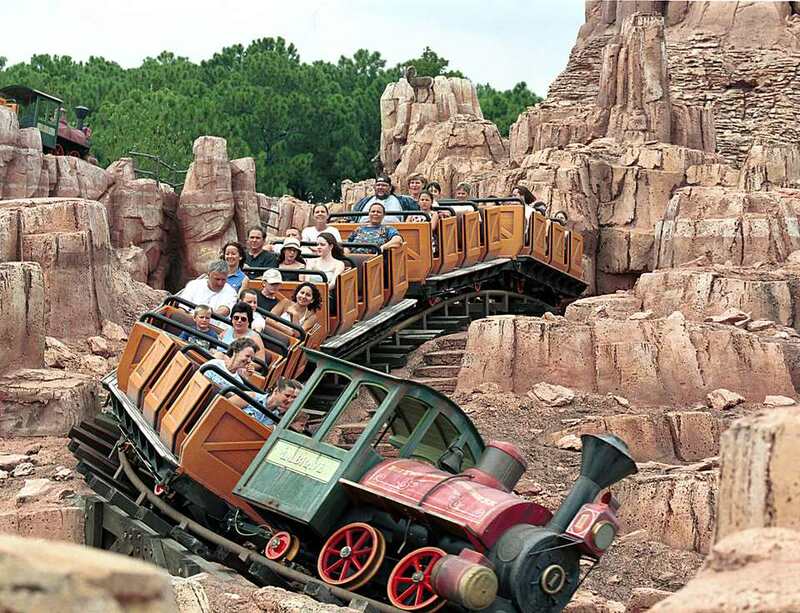 Then again, the pay-one-price model allows ride warriors to cram in as many rides, E-Ticket or otherwise, as they can over the course of a day. For them, the elimination of tickets means they don’t have to keep reaching for their wallets, and they can get great value by paying once at the gate. "A" tickets originally cost 10¢. Rides included the King Arthur Carousel and the Main Street Cinema. "B" tickets originally cost 20¢. Rides included the Casey Jr. Circus Train and the Mickey Mouse Club Theatre. "C" tickets originally cost 30¢. Rides included the Mad Tea Party and Dumbo the Flying Elephant. "D" tickets originally cost 35¢. Rides included Peter Pan Flight and Alice in Wonderland.